Saline for Irrigation, BUY Irrigation Saline, Saline Solution for Irrigation, 6220, 6250, 6270, 6280. 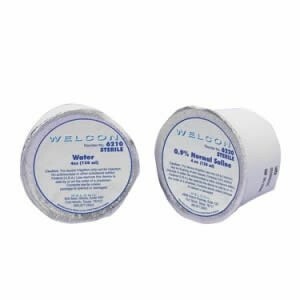 Sterile Saline, manufactured by Welcon, is a saline product intended for irrigation of devices. This Irrigation Saline uses six stages to purify and sterilize the saline efficiently. This Sterile Solution for Irrigation uses advanced technologies to insure the saline is completely sterile: reverse osmosis, micro filtration, post gamma radiation sterilization, ion exchange, ultraviolet bacterial elimination, and deionization. Welcon Irrigation Saline is intended for device irrigation and has been tested and proven safe for irrigation. 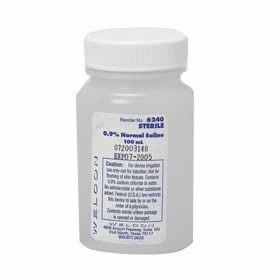 This Sterile Saline is not intended for injection or other uses. I need 600 liters of Saline for irrigation in Israel. Do you offer quotes? For quotes and pricing on larger orders please contact our business-to-business department. Not all sterilization methods are created equal. I order Welcon Saline, because I know that it is completely sterile. Eliminating any risk of contamination.